Old map by QUETIN -Le Magazinede Meubles No. 2, pl 52. Title: Le Magazinede Meubles No. 2, pl 52. Size: 13.4 x 10.2 inches. Condition: In very good condition with natural age toning. Designer and publisher Victor Quentin published a series of home design catalogs between 1850 and 1880 featuring furniture and drapery designs sold in "The Furniture Store". This lithograph from album, No. 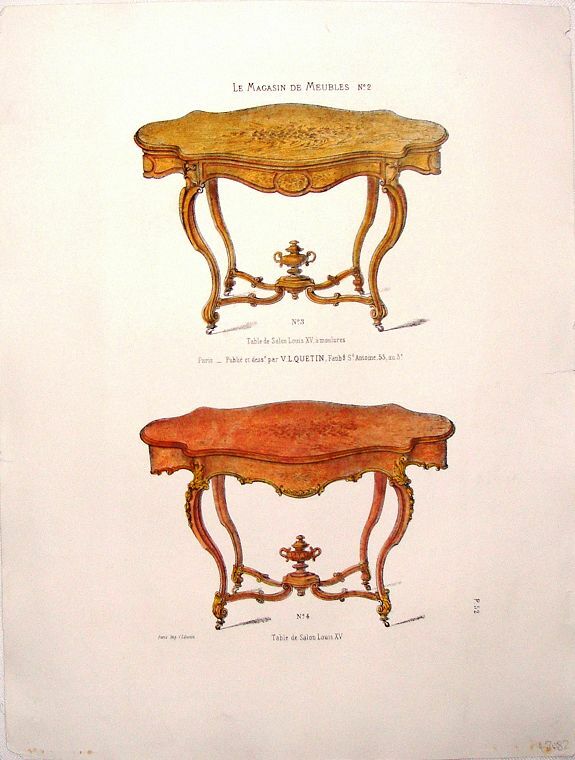 2 in the series, showcases furniture in the "ordinaires" style. The stunning hand-colored lithographs are very detailed and truly stunning.